驚險、曲折、連鎖反應、扣人心弦此故事好像還有許多解不開的迷？也許您正是這一故事的目擊者或知情者。希望熱心的您能幫助把這個故事畫上一個完滿的句號。「911」恐怖襲擊同一天 9/11 Terrorist Attacks on the Same Day[Whispers of Life] Seven years ago, 9/11 left a fresh memory on Liu Guohua’s mind. Liu is a former law instructor at the Northeastern University in China. Because on that day, while he was in the United States in Flushing, New York, he was knocked down to the ground by a Chinese assailant who yelled loudly: “All Americans should be killed." Later, Mr. Liu was nearly killed in a retaliation craze. And has the police solved this case yet?七年前的「911」讓劉國華先生這位原東北大學的法學教師記憶猶新。因為就在那 一天，在美國紐約的法拉盛，他把一個狂喊「炸得好，所有的美國人都應該給炸死」的華人狂徒打翻在地。事後，他遭到了瘋狂的報複險些喪命，那麼兇手是誰，警局破案了嗎？Yuxin: Hello dear audience. The 9/11 terrorist incident has now occurred several years ago. The terrorist attacks that took place in New York and Washington D.C. have caused thousands of people to lose their lives. This tragic incident has brought about numerous family tragedies and mental trauma.宇欣：親愛的觀眾朋友大家好，911恐怖事件已經過去幾年了，這次發生在紐約及華盛頓地區的恐怖襲擊造成了數千人的喪生。這一慘絕人寰的事件帶來了無數家庭的悲劇和精神上的創傷。Some people say that the 9/11 incident changed the United States, changed the lives of Americans, and also served as a wake-up call for the security of the United States. 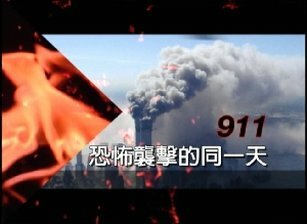 During these 9/11 events, on the same day, in Flushing, New York, Liu Guohua personally encountered a terrorist attack.What actually happened? Now, we will have Mr. Liu share his story with us. 有人說911事件改變了美國，改變了美國人的生活，同時也為美國本土的安全敲響了警鍾。就在911事件同一天，在紐約的法拉盛居住的劉國華先生也遇到了一個恐怖份子的襲擊，這是怎麼樣的一個故事，就由劉先生來跟我們講述。Hello Mr. Liu.劉先生您好。Liu Guohua: Hello Yuxin.劉國華：您好，主持人Yuxin: I read that you introduced a Website, called Liuyuan Website: www.6PARK.com. What is this Liuyuan Website about?宇欣：我在這個網站上有看到您介紹說有這麼一個留園網，這個留園網是怎麼回事呢？Liu: Correct, I cited as an example the Liuyuan Website. This document tells that the “Shenzhou V and Shenzhou VI Satellite”, Liu Chunyi offered to congratulate the Chinese Consulate in New York. The “Shenzhou V and Shenzhou VI Satellite” are an action to support the Chinese Communist Military. And what is the main purpose of the Chinese Communist Party to develop their military forces? Now in Mainland China, the websites controlled by the Chinese Communist Party make it clear, without covering it up, that the purpose for the Chinese Communist Party to develop their military is to fight the United States. It has already been made public. It is easy to remember the website, it is 6PARK.COM.劉國華：對，我舉了一個網站叫留園網，這個材料提出來就是說「神五」和「神六」，劉醇逸他主動的向紐約領事館為「神五」送了賀狀。「神五」和「神六」是支持中共大陸軍方的一種行動，那麼中共軍方發展軍力的一個主要目的是什麼？現在在中國大陸，中共背後控制的那些網站已經毫不隱諱的直接的講，中共發展這個軍力就是為了打美國，已經是公開化了。那個網址也非常好記，是6PARK.COM。Yuxin: The Yuan is the Yuan in Gong Yuan (park)宇欣 ：是公園的園。Liu: Its server is located in the United States.劉國華：它的服務器是在美國。Yuxin: Yes, its server is in the United States.宇欣 ：服務器是在美國。Liu: Correct. People in Mainland China could hardly have access to this website. It mainly targets overseas Chinese students. These global overseas students, if interested, will all go to this website.劉國華：對，這個網中國大陸的人都看不到，主要是針對海外留學生。那麼全世界的留學生幾乎只要有點興趣，他們都上去。Yuxin: What is the main purpose of this website?宇欣 ：那這個網站的主導思想是什麼呢？Liu: To use the Chinese Communist’s ideology to influence overseas Chinese students.劉國華：就是運用中共的這個思想去影響海外留學生。Yuxin: So it has a great impact, mainly targets upon the global overseas students.宇欣 ：那這個影響面就是很大了，主要針對世界各地的海外留學生。Liu: Correct. It was two years ago when I read on this Liuyuan Website an article entitled “Bombing New York”. This article is a poem. It states to have the liberation army drive this “Bomber H-5”. It is the latest type of bomber. And then it will carry four hundred pounds of bombs, four hundred pounds of bombs is an extremely large amount of bombs. Generally, a bomber carries less than two hundred pounds. And then fly to where? Fly over New York. It states that it should not bomb any civilian residents. They said that civilian residences have too few people. It should directly target schools, hospitals, and places where there are lots of people.劉國華：對，那麼我是在兩年前，我是在留園網上看到一篇文章題目就是「轟炸紐約」，是以詩歌的形式講。它說讓解放軍開這個「轟五」，轟五就是轟炸機五型，是解放軍現在一種最新型的轟炸機。然後載著四百磅的炸彈，四百磅炸彈是非常非常大的，一般航空炸彈都是兩百磅以下，然後飛到哪里？飛到紐約上空。它說不要去炸那個民房，民房人太少了，要炸就直接炸學校、炸醫院，炸那些人最多的地方。It stated that at the New York bay, there were many military warships, which should also launch some large barrel-like cylinders. How many people should it kill?說紐約灣裏面要有很多很多的軍艦，讓軍艦也發射一些炮彈，說要炸死多少人哪！It stated two million. And then it stated that two million were not enough. It should kill four million. It stated that if we want to bomb them to death, we should bomb them heartlessly, and bomb to death the majority of the people.要炸死兩百萬，又說兩百萬不行，炸太少了，要炸死四百萬，說我們要炸就炸得最狠，炸死人最多。Yuxin: This scheme is horrible.宇欣：這計畫很可怕呢！Liu: There were over four hundred people who read this article when I downloaded it. This article I …劉國華：我下載的時候已經有四百多人看了，這篇文章我是……Yuxin: When did this happen?宇欣：這什麼時候的事情？Liu: Two years ago. It was during the time when the “Shenzhou V and Shenzhou VI Satellite” were launched, when they had their highest nationalism.”劉國華：兩年前，對。那也就是神五、神六發射的那段時間，他們那就是民族主義的一種高漲嘛！Yuxin: Does that website always carry this kind of articles?宇欣：那這個網站大多數都是這樣的文章嗎？Liu: This kind of articles openly promotes terrorism. This article stayed at the website for one day before it was deleted. As a comparison, I also registered with the Liuyuan Website, and also have posts on this website. 劉國華：這種文章由於公開的宣揚恐怖主義，這篇文章在網站上放了大概一天多時間就被刪掉了。那麼這裏做為一種對比，我在那個留園網上也有注冊，我也在上面發帖子。I recalled when the Atlantis space shuttle was launched, some tiny particles dropped down. So when the Atlantis was launched, it involved many people’s attention.我記得美國有一個航太飛機「亞特蘭提斯號」在發射的時候，就發現有一點小的物品脫落下來了，所以那個亞特蘭提斯號發射上去以後，這件事情非常牽動人心。NASA analyzed the video, and believed that it was not a big deal. And then Atlantis returned smoothly. I also felt very happy after it returned. I felt that when it was first launched, that some small particles dropped, but that eventually did not have a big impact. So I am also very happy. I posted some articles on the Liuyuan Website, and about a dozen photos. I should say this posting was very normal.那麼美國航太署就分析這個畫面，認為這個事情不是很大，那麼後來亞特蘭提斯號就順利的回來了。回來以後，我也感到非常高興，我覺得因為當初發射的時候，有一小小的東西脫落下來，那個事情畢竟沒有造成很大的影響。所以我也很高興，我就在那個留園網上也發了一套帖子，大概有十幾張照片，這個帖子應該說是很正常。Yunxin: And it is also a very happy thing.宇欣：也是很高興的一件事。Liu: It is a very happy thing. However after it was posted, someone immediately followed with a post saying that I was a “traitor to China”.劉國華：也是很高興的事。可是這個帖子上去以後呢，馬上有人就跟帖說「漢奸」。Yuxin: You posted this in the United States and he said that you were a traitor to China?宇欣：您在美國本土上發出這樣的帖子，他反說您是漢奸？Liu: This website definitely has the Chinese Communist Party’s backing. That is why it can so openly and undisguised promote terrorism. It also states that the liberation army should come to attack New York in the United States, and also bomb many people to death. That is why it could have this kind of articles posted there for so long. And you see my article was deleted immediately after it was posted. Such a normal posting could be deleted. 劉國華：這個網站可以肯定就是說一定有中共的背景的，所以能夠在這個網站上有赤裸裸的宣揚恐怖主義。而且要解放軍來攻打美國紐約，還要炸死很多很多的人，所以它才能有這樣的文章在那放了好長時間。你像我那個文章放上去以後馬上就被刪掉了，一個很正常的帖子它也可以刪掉。Yuxin: Talking about this terrorism, it reminds us naturally of 9/11. I heard that on the same day, you also experienced a terrorist attack. What kind of experience was that?宇欣：說到這個恐怖事件我們自然就聯想到911，聽說您在那天也同樣經歷了這樣一個恐怖事件，這是怎麼樣的一個經歷呢？Liu: This is an incident that I experienced myself. And it happened on the same day when 9/11 happened. On the day of 9/11, we New Yorkers all had this experience. The World Trade Center was bombed and destroyed. I was in Flushing. Manhattan is far away. After being destroyed, the smoke came up. And the big smog was extremely heavy. Even here, we could see it.劉國華：這是我親身經歷的一個事件，而且是911當天發生的事件。那麼911當天我們紐約人都有這個體驗，世貿中心被炸毀了。我當時是在法拉盛，曼哈頓這麼遠的距離，炸毀以後那個樓塌了煙霧完全就起來了。而且那個大火燃燒造成的煙霧非常非常的大，那麼在我們這個地方都可以看到。Every New Yorker was shocked by this horrible scene. It was around four to five in the afternoon when I went to a printing company to take newspapers. I just heard people talking about this.每個紐約人都為當時現場那種恐怖所震驚，我是下午大概四、五點鍾到那個印刷廠去取報紙，我只是聽到大家講這個事情。Yuxin: You had not seen the images on TV?宇欣：您沒有看到電視畫面？Liu: No, I had not seen the images on TV. After I arrived at the print shop, the TV in there happened to be rebroadcasting the footage of New York being under this terrorist attack, including some footage of the Pentagon being attacked. I was really shocked seeing these pictures. 劉國華：沒有，沒有看到電視畫面。我到了那個印刷廠以後，印刷廠裏正好有一台電視正在重播紐約遭受恐怖襲擊的畫面。還包括華盛頓五角大廈被襲擊的一些畫面，我當時看到這個畫面以後，我心裏非常非常感到震驚。At the time, many people at the print shop were watching TV. One person in the audience, when he saw that the World Trade Center was destroyed by the plane crashing into it, he applauded and said it was well done. While cheering loudly, he stood up. He said that the explosion was so good. He said that all Americans are criminals, and all should be killed. As soon as I heard this, I was really angry.在印刷廠當時有很多人在看這個電視畫面，那麼其中有一個，在觀眾當中有一個人他一面看電視畫面，看到被紐約大樓被飛機炸毀的時候，他就在拍手，說炸得好。他除了這麼樣的歡呼以外，他就站起來了，一面歡呼一面就站起來，他說炸得太好了。他說所有的美國人都是罪犯，都應該給炸死，我當時一聽我就覺得這個事情非常非常的憤怒。Imagine, this is like if a family’s house is on fire, and when we return and see that the building is still on fire, a person stands up and says, “Oh, the burning is so good and people inside burnt to death.” Then them being a relative of ours, one cannot bear to hear people say such things. 那麼我們可以想像，這個事情就相當於什麼，假如說我們自己家一座樓房著火，那麼我們回去以後看到樓房還在著火，旁邊有個人說，哎呀！燒得好，燒得太好，聽說裏面還燒死人，那麼做為我們一個親屬不能聽到有人說這種話。Well actually we are all the same. We came to the U.S. and we have very close relationships with the Americans. We all know that the U.S. has a Thanksgiving holiday. We came to America, so we should have appreciation for this land and the people living in it.那麼實際上做為我們也是一樣，我們來到美國，我們和美國人是一種非常非常親密的關系。我們都知道，美國有一個節日叫感恩節，我們來到美國就要對這個土地和土地上的人民都要有一種感激之情。Yuxin: We need to love this place.宇欣：要去愛這個地方。Liu: We need to love them.劉國華：要去愛他們。Yuxin: Which print shop was this?宇欣：您說這個印刷廠是哪一個印刷廠呢？Liu: A print shop in Flushing, it is on the 32nd Street.劉國華：法拉盛的一家印刷廠，在三十二街裏面。Yuxin: What kind of person was he?宇欣：這個人是什麼樣的人呀？Liu: I do not know this person. I tried to stop him from talking. I told him that he should not speak like this. I was quite polite at the time, because I did not know this person.劉國華：那麼我也不認識這個人，那麼我就不讓他講，我說你不應該這麼講，我當時還是很客氣，因為我不知道這個人。Yuxin: What does he look like?宇欣：他長什麼樣子呢？Liu: He was in his forties. He wore a pair of high-degree glasses. Besides saying those things, he also talked about America’s invasion of Grenada. This is a very small incident. What is it about? Due to the coup from the opposition, Grenada was unstable. The legitimate government of Grenada at the time invited the U.S. to give military support. Under this circumstance, the U.S. sent troops to Grenada. Because of this issue, I was certain that this person came from mainland China. Why? Because I used to be a teacher in mainland China, and the anti-American teaching materials in Chinese universities mentioned this issue.劉國華：他這個人大概有四十多歲，戴副深度近視眼鏡。他除了這麼講以外，他其中還說了美國入侵格林納達，這是個很小的一個事件。這個事件是怎麼個情況呢？格林納達內部由於反對派政變，那麼這個國家處于一種不安定的狀態。當時那個格林納達的合法政府就邀請美國出兵援助他，在這個情況下美國出兵了格林納達，因為這個事情我當時就確定了這個人是從大陸來的。為什麼呢？因為我以前在大陸我做過老師，大陸大學的反美教材裏面就有談到過這個問題。Yuxin: Yes, the textbook mentioned this.宇欣 ：對，這個課本裏有談到。Liu: Yes, so I was certain that he came from mainland China. I was sure of it, and I tried to stop him. Later when I could not stop him, I went out of the print shop with him. We had a clash outside the factory, I knocked him down, and he was losing at that time.劉國華：對，所以我當時可以肯定他是從大陸來的，這一點我可以確定，那麼我還是制止他。那麼後來沒辦法制止他，沒辦法制止他，後來我和這個歹徒就到了這個工廠外，在工廠外面發生沖突以後，我就把這個歹徒打倒在地上，當時的情況是這個歹徒他吃虧。Xinyu: Did he stop?宇欣：那他能甘心嗎？Liu: He ran to an automobile repair garage nearby and found an iron rod, about this long. It weight about ten pounds. I saw that he got the iron rod, and I knew he wanted to kill me. Anybody can imagine the consequence of using such an iron rod. Hitting it on someone’s head can kill the person instantaneously.劉國華：他就跑到旁邊還有一家汽車修理場，他找了一根鐵器，這麼長一根鐵器，那個鐵器重量大概有十磅，我一看這個鐵器拿出來了，我就知道他就要殺人了，使用這鐵器的後果每個人都可以想像得到，鐵器拿著打到頭上，一下子就可以把人打死。Xinyu: Right, then what did you do? Did anybody help you?宇欣：對呀！那怎麼辦，有沒有人幫助你？Liu: I ran inside the print shop, because there were no Chinese in there, they came out after hearing there was a fight. There were several Westerners in the factory, but because my English was poor, I pointed to the image on TV and told them the person chasing me said this was good. They immediately understood that this assailant cheered for the terrorists. So they came out to help me right away. There was a person called Frankie, a tall young man.劉國華：我趕緊往印刷廠裏面跑，因為廠裏面沒有華人，他們說外面打架了都出來了，廠裏還有幾個西裔的人，因為我英語不太說得好。我就指這畫面說後面追我的那個人說這個好。他們西裔的人一看到這情況，馬上就理解、就知道，知道這歹徒是為恐怖主義叫好，所以他們馬上出來幫助我，當時有個人叫法藍麒，很高大的一個人青年。Yuxin: A westerner?宇欣：西方人？Liu: A Westerner, he came from South America.劉國華：西方人，他是從南美州國家過來的。Yuxin: He tried to hit you with the weapon, did he succeed?宇欣：他拿那兇器打你，打沒打著你？Liu: After I came into the factory, I had nowhere to run. I was empty-handed, so I said this person supported terrorism. Frankie became angry. He went to the entrance, and the assailant came in. Frankie grabbed him by his clothes in front of his chest. As Frankie is tall and big, he began cursing loudly as soon as he grabbed the assailant, and pushed him outside.劉國華：進了工廠以後，我沒有地方再跑，我手裏又沒有東西，我就講這個人支持恐怖主義。法藍麒他就火了，法藍麒到工廠門口去，歹徒就進來了，法藍麒就捉住他胸前的衣服，法藍麒他體形很高大，捉了他就大聲的罵，就把歹徒推到外面去了。The assailant almost fell outside the factory. He stood up, grasped the rod and tried to continue fighting. The director of the factory also helped me. He pointed at the assailant and asked, “Do you know who I am?” He was also condemning the assailant. The assailant saw that so many people were on my side, and he could not enter the factory, so he directly threw the weapon in my direction.這歹徒在工廠外面幾乎是快摔倒了，歹徒爬起來以後，拿了東西他還要繼續打。這工廠的廠長他也在幫我，他就指這歹徒，你認不認識我是誰？也在指責這歹徒，歹徒一看那麼多人都在幫著我，歹徒一看他又進不去，他就在外面直接把這兇器丟過去。Yuxin: So he threw it at you.宇欣：就扔向你了。Liu: Yes, he threw it at me. I dodged in haste. The weapon fell on the ground, making a loud “bang” sound, like iron makes!劉國華：對，扔向我，我就趕緊躲開，那兇器落在地下很響「砰」一聲，因為它是鐵器嘛！Yuxin: Then what happened after this? Did you report it to the police?宇欣：那這件事情後來怎麼樣，您有沒有報警？Liu: There was a later development. The situation on that day was just like that. It can be said that Frankie saved my life. Without his help, I might have been beaten to death by this assailant.劉國華：後面還有一些發展，當天就是這麼一個情況。可以這麼說：我這命是法藍麒救我的，如果沒有法藍麒幫助我，我有可能被這歹徒給打死了。Yuxin: Have you found out later what kind of person this assailant was? 宇欣：那這歹徒是什麼樣的人，後來您知道嗎？Liu: I still do not know it.劉國華：到現在還不知道。Yuxin: Speaking of this, I thought about after the 9/11 incident, various Chinese forums were filled with gloating voices. These people not only did not sympathize or support the victims, but they cheered loudly for the terrorists. This kind of mentality is really puzzling.宇欣：說到這兒我又想到911事件過後，各中文論壇上也是一片興災樂禍的聲音，這些人不是表示同情或是表示支持遭受災難的人，反而大聲的叫好為這些恐怖份子，這種心裏實在是令人不解。Liu: Yes, these are all very practical problems. After these things happened, many people warned me that I might encounter other troubles. I believed that I probably would not, as what I did was appropriate.劉國華：對，這一些都是很實際的問題。那麼當時發生這事情以後，很多人跟我講，我可能還會遇到別的麻煩，我一想恐怕也不會，我覺得我做得應該是恰如其分的。Yuxin: You were just stopping him.宇欣：您只是在制止他。Liu: I was merely stopping him.劉國華：我只是在制止他而已。Voiceover: Seven years later, Liu Guohua comes forward again alongside many righteous people to fight the Chinese Communist Party’s accomplices in Flushing in this battle between good and evil. With a gap of seven years, what is the connection between these two incidents?話外音：七年後的今天，劉國華先生又一身正氣的站了出來，他和眾多的正義人士一起與法拉盛的中共幫凶進行一場正邪較量，事隔七年，這兩起事件之間有著甚麼內在的連系呢？Yuxin: So what happened later?宇欣：後來這事情怎麼樣了呢？Liu: About half a month later, I went to 32nd Avenue to do business. Everyday from 4 to 5 o’clock, I closed my business, and then went to the printing factory to pick up my paper. After I came out of the store, I was not prepared, suddenly I sensed an object coming at me from behind. So automatically, I quickly put both hands beside my head, then a hard object hit my head. It hit me, and after I turned my head, I saw the assailant, he quickly ran away after that, and my head was bleeding.劉國華：大約半個月以後，我在32 大道做生意，每天四點到五點這段時間我就把生意結束，然後到印刷廠取報紙。我從商店出來以後，我沒有准備，我就覺得有東西從後面過來襲擊我，我當時就很自然的兩手抱頭，有個硬物就砸到我頭上，砸到我這邊，我回頭一看就是當天的歹徒，打完以後馬上就跑，我一看，頭已經出血了。Yuxin: Did he know that you worked there before, or was he following you? 宇欣：他事前就知道您在那工作，還是他有跟蹤盯著您？Liu: He was well prepared, he was hiding behind the door. Later my friends told me that I must report this incident to the police, because if I didn’t do that, I would never be able to find out who did this, so I must report this to the American police.劉國華：他是有准備的，他就藏在門的後邊，後來我一些朋友跟我講這事情你必須報警，你要不報警你永遠不知道是誰，必須要透過美國的警方。I agreed with what they said, and went to No. 109 Police Sub-Bureau to report this incident to the police. After that, people from that police sub-bureau said they were very upset about this incident. At that time, the person who wrote down the details of my case was a female police officer. This police officer said to me: We make sure to help you to find this assailant, because you don’t know how to express yourself in English, we will need to find a police officer who speaks Chinese to talk to you, and have this person take care of your case. I said fair enough. The following day, when I was at my store, a police officer indeed came. He gave me his card, and it stated that his name was Wu Yachang.我認為說的對，於是我到109 分局去報警，我報警以後，109分局他們對這事情都感到很氣憤。當時負責記錄的是位女員警，這員警當時就給我講，我們一定會幫助你找到歹徒，但由於你不會用英語表達，他說我們會派一個會說漢語的員警來和你聯絡，讓這個人來負責這個案件，我說那很好。第二天我在店裏面，就有一個員警去，這員警去了以後，當時就給了我一張名片，我一看名片，他名叫伍雅倡。Yuxin: Then here it brings up a story.宇欣：說到這兒就有一段故事了。Liu: Then I told him what had happened to me. I’d say he paid a lot of attention to it at that time, he asked me if I had any clue who did it? I did not. I said to him that the reason why I reported it to the police was out expectation that police officers would find out about it anyway. When Wu left, he said, if you hear something, be sure to call me.劉國華：那我就把這案情向他重新做了敘述，伍雅倡應該當時是很重視，就跟我講說，你有沒有歹徒的線索？我當時的確沒有歹徒的線索，我講說我報警也是希望警察幫我找到這個線索，伍雅倡走的時候說，如果你有線索的話，你要打電話告訴我。Yuxin: Then what happened after that?宇欣：那後來怎麼樣了呢？Liu: After that, after some time, a friend found out some clues to this case, then I got in touch with Wu, to tell him about that.劉國華：後來又過了一段時間，有個朋友他有個線索，那我就和伍雅倡連絡，告訴他給他線索。Yuxin: So a clue was found.宇欣：找到線索了。Liu: When Wu heard about it, he was very serious about it. Wu then went to the No.109 Police Sub-Bureau and to my friend’s place, and got this clue, which included the assailant’s address, his license plate number and more. After Wu got a hold of this clue, we were sure that he had found this assailant.劉國華：伍雅倡一聽這個，伍雅倡很重視，伍雅倡就從109分局就到了我朋友那兒去，就把這個線索得到了，這個線索包括歹徒的住址，包括汽車牌號等等都有，伍雅倡拿到這個線索之後，我們可以肯定的說他已經找到這個歹徒。Yuxin: Then, did he deal with it afterwards?宇欣：怎麼樣？後來有沒有處理這個事情。Liu: Wu suddenly found me another day and asked me, if I wanted to reserve the right to hold this person accountable legally? I said I wanted to reserve this right. Wu asked me about that, after he obtained the clue from my friend.劉國華：伍雅倡突然有一天又找到我，他問我，你是不是繼續保留對這個人在法律上的追溯？我說還繼續保留，那麼伍雅倡這次找我問這句話，就是他從我朋友那得到線索。Yuxin: So he asked you if you still want to sue this person.宇欣：他問要不要繼續告這個人？Liu: I wanted to sue this person. But after this person was found, we didn’t hear anything from him anymore, nothing. Therefore, my friend told me that this assailant probably had been sent back to mainland China. Why? We can think about it this way: after Wu obtained the clue, he found him, and then the police probably would have arrested him.劉國華：就告這個人。但是找到這個之後，沒有下文了，沒有任何結果了，所以我的這個朋友對我講說，這個歹徒可能被遣返回大陸，為什麼呢？我們可以這樣分析，伍雅倡得到這個線索之後就找到他了，找到他了，那警方有可能就逮捕他。Since this incident happened on “9/11” it was an open matter, and this assailant could not deny it. If the police had caught him and then brought him to trial, since he could not deny it, the police probably would have to deal with his case. Probably would have sent him back, that’s our logic..